Unfortunately, a lot of people seem to be teed off with Niantic Labs. While the company made a lot of noise about the first major update for its super-popular Android and iOS game Pokémon GO, and added a couple new features, the update seemingly took away more than it brought in. For one, there was the nerfing of the powerful Vaporeon, as well as other Pokémon that had once stood out among the game’s most impressive characters. If that wasn’t bad enough, it didn’t compare to Niantic’s deliberate decision to remove footstep tracking, which had once been a fantastic tool for users needing help catching Pokémon. By the looks of things, Niantic did this to a) lessen the tremendous load on its servers, and b) make the game more challenging to its legions of players. Then again, we can understand the rationale behind those moves, especially the latter, as using a helper website like Pokévision is tantamount to taking a test with a crib sheet in front of you and teacher being none the wiser. But even without those tools, you can still try these workarounds to have an easier time catching Pokémon, as we shall now explain in this quick Pokémon GO strategy guide. Do read on after this, as we shall also be sharing some ways to deal with another issue gamers have been complaining about since the update rolled out. Try to predict how close the Pokémon are by using this generalization. Generally speaking, Pokémon in the top left showing as “nearby” are the closest, while the ones in the bottom right are the farthest away. This isn’t always the case, but most of the time, it holds true, and it can potentially make it easier for you, though definitely not as easy as during those pre-update times. Once again, this isn’t a foolproof workaround. There have been many players who have claimed finding Pokémon is more random now, and who note that they have found Pokémon who should be farther off based on the above generalization. 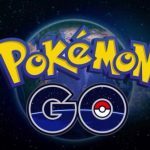 In addition, the list now seems to be inaccurate at times, as two players standing side-by-side may get different Pokémon showing up on their devices as nearby Pokémon. Here’s hoping that those are just bugs to be squashed in a future update, and not something Niantic did on purpose to make the game more challenging. Make use of the circle method. This is best done if you’ve got an egg that’s due to hatch, and if you’ve got a lot of time to test this method out. Take note of your starting location, which is point A, and choose a Pokémon you want to focus on and catch. Walk quickly in a straight line until that Pokémon is no longer on the list. That will be your “point B” in this method. Draw an imaginary circle where point A is the center and point B the end of the circle, and that will be the area where you can find the Pokémon you were focusing on. Like the first workaround, there are some issues you have to keep in mind. First, you’ve got a great distance to cover within that circle. Sometimes, the circle can also get too large for you to catch the Pokémon, as it may disappear or de-spawn due to the time it takes you to cover the circle. Now there appears to be one actual bug that’s come up since the release of the first major Pokémon GO update. This bug is very discouraging, as it resets a player’s progress completely, forcing them to start from square one. Many players have given up on Pokémon GO because of this bug, but you don’t have to drop this game like a bad habit, as we’ve got some things you can do to work around the progress reset bug. 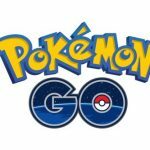 Before we get to the workaround, it appears that the game is mostly affecting iOS users, and Niantic is aware of the bug. The company has assured gamers that no actual data has been lost, so it is possible to retrieve that data and your progress. The bug has something to do with the Google account you may be using to play the game, so you’ll have to check whether the game had unexpectedly used another one of your Google emails for one reason or another. Sign out of Pokémon GO by going to the main menu, then settings, then clicking on Sign Out. You can also uninstall the game and reinstall it. As there are times when the game won’t log you out properly, it may be safer to uninstall and reinstall. After doing that, restart the game, and choose the Google login method. Look at the email address in the upper right corner, and check whether that’s the email address used when you created your Pokémon GO account, as that’s the email that Niantic uses to save your in-game progress. If the email doesn’t match the one used when creating your Pokémon GO account, sign out of Google, sign in again using the correct email, and you’re all set. You’re all good to go, you’ll be able to start off where you had last left off, and you wouldn’t have to quit playing Pokémon GO in frustration due to a silly little bug that actually has a workaround.